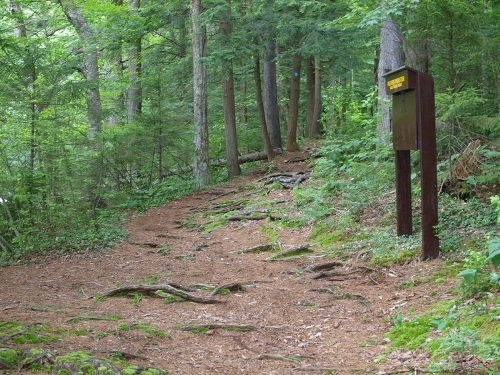 Located on the edge of over 200,000 acres of both Adirondack Wilderness and Wild Forest, State hiking trails are well maintained and navigate through a variety of habitats with a gentle grade. There are mountains to climb as well, with scenic vistas and ancient rock outcroppings. For the adventurous, bushwhacking paths offer complete solitude and a true Adirondack wilderness experience. New to the region is the Cranberry Lake 50 Trail which circumnavigates Cranberry Lake. We can provide shuttle service to trail access points on the lake. Visit the official Cranberry Lake 50 website for more information.